How can calculus help you survive the zombie apocalypse? Colin Adams, humor columnist for the Mathematical Intelligencer and one of today's most outlandish and entertaining popular math writers, demonstrates how in this zombie adventure novel. Zombies and Calculus is the account of Craig Williams, a math professor at a small liberal arts college in New England, who, in the middle of a calculus class, finds himself suddenly confronted by a late-arriving student whose hunger is not for knowledge. As the zombie virus spreads and civilization crumbles, Williams uses calculus to help his small band of survivors defeat the hordes of the undead. Along the way, readers learn how to avoid being eaten by taking advantage of the fact that zombies always point their tangent vector toward their target, and how to use exponential growth to determine the rate at which the virus is spreading. Williams also covers topics such as logistic growth, gravitational acceleration, predator-prey models, pursuit problems, the physics of combat, and more. With the aid of his story, you too can survive the zombie onslaught. 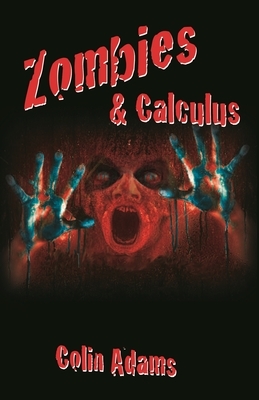 Featuring easy-to-use appendixes that explain the book's mathematics in greater detail, Zombies and Calculus is suitable both for those who have only recently gotten the calculus bug, as well as for those whose disease has advanced to the multivariable stage. Colin Adams is professor of mathematics at Williams College and the author of many books, including How to Ace Calculus: The Streetwise Guide. He is also the humor columnist for Mathematical Intelligencer.